Connect with the power and joy of the natural world right now. Richard Louv launched the international children-and-nature movement with his New York Times bestseller, Last Child in the Woods. Now he brings us the companion guide—Vitamin N—with 500 ways to enrich your health and happiness. 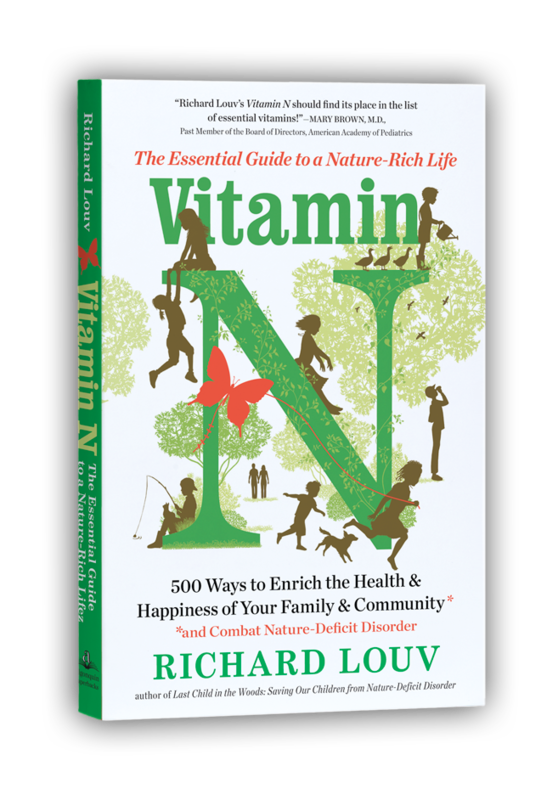 Vitamin N is a one-of-a-kind, comprehensive, and practical guidebook for the whole family and the wider community. Whether you’re in a suburban home, a dense urban setting or the wild countryside, Vitamin N offers activities for the whole family to connect with the natural world. 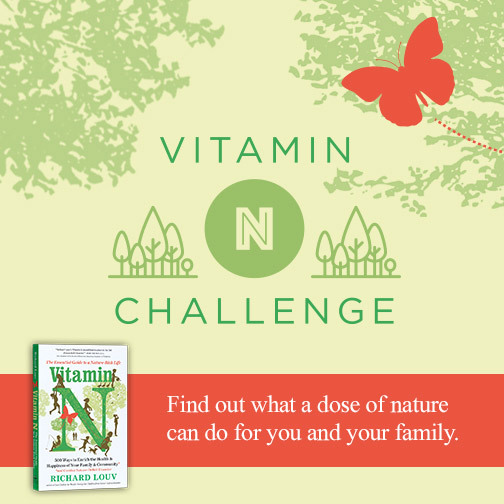 Click here to take the Children & Nature Network’s Vitamin N Challenge — and share your ideas with others. 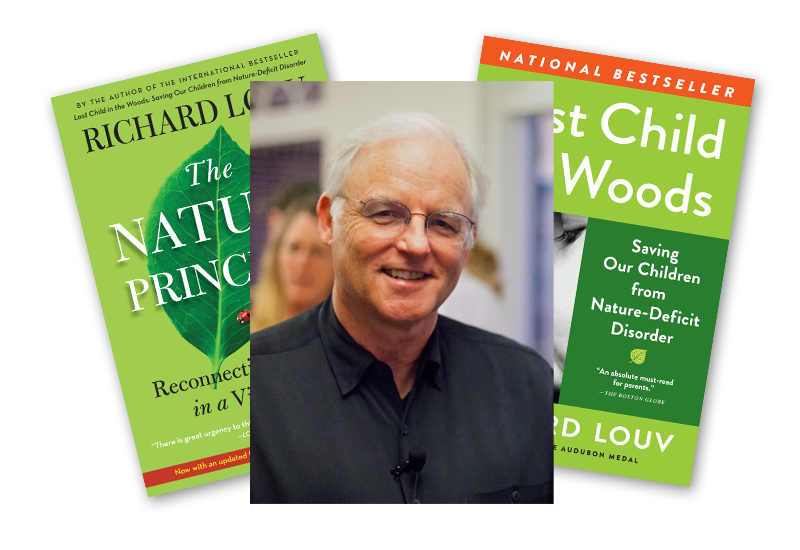 Click here for group and educational sales at discounted rates on Last Child in the Woods, The Nature Principle and Vitamin N.
Richard Louv, recipient of the 2008 Audubon Medal, is the author of nine books, including Last Child in the Woods and The Nature Principle. Richard is co-founder and Chairman Emeritus of the Children and Nature Network. He has appeared on The Early Show, Good Morning America, Today, CBS Evening News, NBC Nightly News, NPR’s Morning Edition, Fresh Air, Talk of the Nation, and many other programs.